Zookeepers at the Auckland Zoo, New Zealand, use METTLER TOLEDO balances to ensure that kiwi chicks hatched in captivity are putting on enough weight to thrive once they are released into the wild. Accurate weighing of the chicks is essential to the decades-old program’s success. Flightless kiwi birds fend off predators rather than take to the skies. 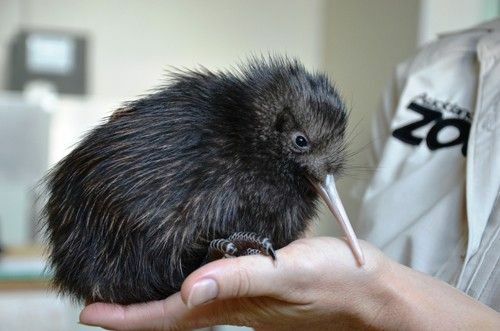 In the New Zealand wild, about 50 percent of kiwi eggs fail even to hatch. Of those that do hatch, about 90 percent of chicks die within six months, and the majority of these are killed by cats or stoats. More than 200 chicks are raised each year by non-for-profit facilities around New Zealand, many at the Auckland Zoo. Weight is a key indicator that chicks are ready to move onto the next part of their journey. Using the data, zookeepers are able to adjust feeding schedules to ensure that birds thrive and are not released early, when they have a decreased change of survival. Easy-to-use lab balances from METTLER TOLEDO are an integral part of the process. The zoo's team relies on a PB-S laboratory balance. Although it is more than ten years old it delivers reliable results. Today, its successor, the MS-TS Precision Balance, is known for its trusted results and comfortable use – from check weighing to dynamic applications, such as weighing animals. 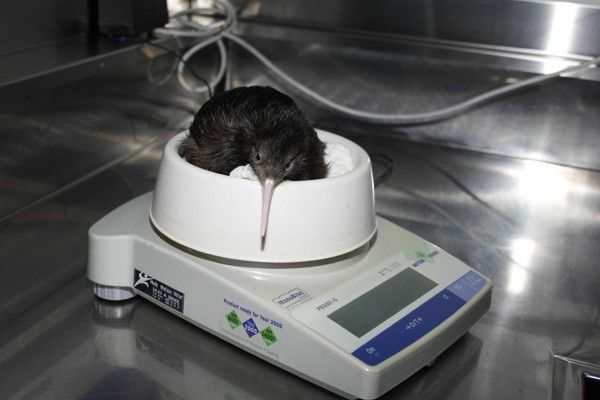 A critical milestone for a kiwi chick is its hatch weight, which on average ranges from 325 grams to 400 grams. Chicks hatch with a large and nourishing external yolk sac, which they gradually absorb through their navel over their first 10 days of life. Chicks will then drop in weight until they start feeding. Then, over a three-to-four week rearing period at the zoo, they gradually regain their hatch weight. Once this weight is achieved, chicks are ready to be released to protected wild areas such as crèche islands or mainland sites. They remain at these sites until they reach sub-adulthood and have grown to 1.2 kilogram – a size where they are strong enough to fend off predators. Following a final weigh-in to confirm adequate size, chicks are relocated back home to the wild areas where they were originally conceived. METTLER TOLEDO is proud to be a part of helping to ensure the success of the O.N.E. program and health for the national symbol of New Zealand.